Lock in a great price for Hotel Econohotel (Ex-Hotel Verona) – rated 8.2 by recent guests! 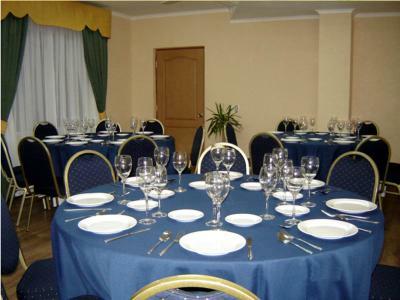 Nice big room and very friendly personnel at the restaurant that goes with the hotel. Wifi was great. Excellent value. Location is great, specially if you're on your way south/north and don't want to go through town. Great breakfast (eggs are outstanding). Bien la limpieza de las habitaciones y baños Bien la relación precio calidad. Mención para el restorant adosado al hotel, comida rica , buenos precios y excelente atención. Excelente ubicación y personal muy amable y preocupado. Buenas instalaciones. Desayuno muy bueno. La ubicación es perfecta, al igual que las instalaciones. Excepto el baño un poco limitado. El desayuno aceptable pero debería ser un poco mas variado. 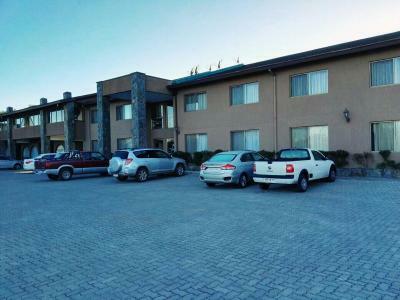 Hotel Econohotel (Ex-Hotel Verona) This rating is a reflection of how the property compares to the industry standard when it comes to price, facilities and services available. It's based on a self-evaluation by the property. Use this rating to help choose your stay! 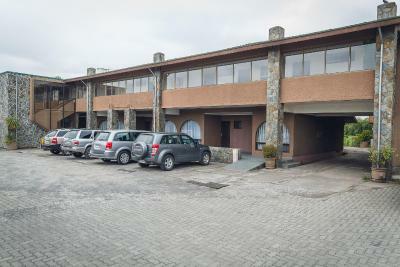 Set in Los Ángele in the Bío Bío region, Hotel Econohotel (Ex-Hotel Verona) offers rooms with free WiFi and parking on site. A complimentary breakfast is included daily. This property features a restaurant and bar, and 24-hour room service is offered. Rooms at Hotel Econohotel (Ex-Hotel Verona) feature a private bathroom with free toiletries and a hairdryer, a flat-screen cable TV, a fan, heating, bed linen and towels. Guests may also use the communal facilities offered on site, which include a hot tub, a sauna, a fitness center, and a game room including kid's games. Guests may also enjoy the garden and terrace during their stay. Hotel Econohotel (Ex-Hotel Verona) offers a 24-hour front desk service, banquet rooms, and laundry services for a surcharge. This property is also rated for the best value in Los Ángeles! Guests are getting more for their money when compared to other properties in this city. When would you like to stay at Hotel Econohotel (Ex-Hotel Verona)? This room features a private bathroom with free toiletries and a hairdryer, a flat-screen cable TV, a fan, heating, bed linen and towels. House Rules Hotel Econohotel (Ex-Hotel Verona) takes special requests – add in the next step! Hotel Econohotel (Ex-Hotel Verona) accepts these cards and reserves the right to temporarily hold an amount prior to arrival. Without airco it was warm, so the fan was needed. It was not too warm though.